We have Austria travel advice for your great trip to Austria this year. We have the travel advice that you can use to make the best of your trip to Austria. Our comprehensive travel itineraries have all the advice you will need for a rewarding and hassle-free travel experience to this wonderful country. Our travel itineraries have information on all the major tourist sites and attractions as well as the local secret venues that you are sure to enjoy. Our travel advise will include the greatest architectural wonders of the country magnificent palaces and castle, imposing fortresses and incredible beautiful churches and cathedrals museums, concert halls and Opera houses. Each itinerary will have the daily travel advice you need to get the most out of your sight - seeing experience. The itinerary will guide you through the great cities of the country as well as the small towns and Alpine destinations for you to enjoy a hassle free trip through beautiful Austria. an exhilarating 7 day travel program that will give you the best travel advice of each wonderful day in this most fascinating county. Our itineraries have the advice you need to get from one destination to the next and will guide you efficiently to your next scheduled sight-seeing destination, with advice which town or city would be best to overnight in and to start the next days adventure. Our travel itineraries have entire daily travel programs that you can follow as you wish with scheduling, venue information, as well as driving directions. Our 14 day itinerary will guide you through the wonderful hi-lights of Austria as well as the local charming secrets. You will have the travel advice you need to experience the many of the great natural and man made attraction of the country in well organized daily itineraries. Great travel advice for your ultimate discovery of the great city of Vienna. A comprehensive itinerary for a complete visit of the magical capital ! Visit the musical capital and surrounding province with our detailed travel itinerary of amazing Salzburg, travel advice fro you to get the most out of you Salzburg trip ! Discover the green province of Steiermark great travel advice to enjoy this wonderful province on a truly enjoyable travel experience. 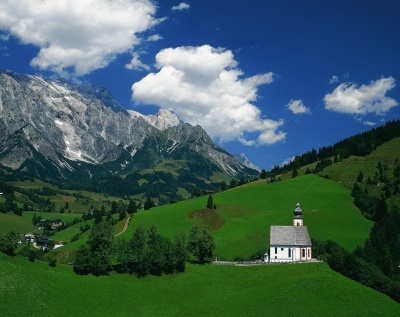 Discover Austria in its entirety from East to West. This 14 day travel itinerary will have all the advice you require for a well organized trip and great experience. Visit every region of the country with this incredible travel itinerary.